Oh the shame of it all. Last month, 1,300 pro-Palestinian activists from the US and Europe came to the region in the name of peace and social justice to demonstrate their solidarity with the Palestinians in Gaza. Led by the self-declared feminist, antiwar group Code Pink, the demonstrators’ plan was to enter Gaza from the Egyptian border at Rafah and deliver “humanitarian aid” to the Hamas terrorist organization. Those who managed to escape their hotels and the bullpens outside the embassies were barred from staging night protests in solidarity with Hamas on the Nile. In the end, as the militant Israeli pro-Palestinian activist Amira Hass chronicled in Haaretz last week, all but 100 of them were barred from travelling to Gaza. Rather than being permitted to judge the situation in Gaza for themselves, they were carted onto Hamas buses and taken on “devastation tours” of what their Hamas tour guides claimed was damage caused by the IDF during Operation Cast Lead. And then these international protesters were forced to participate in a Hamas-organized march to the Erez crossing. Pakzad did complain, however, about what she acknowledged was the “farce” devastation tour she was taken on. She claimed that her Hamas guides were ignorant. In her studied view, they understated the number of Palestinians rendered homeless by the IDF counterterror offensive last year by some 60 percent. By happily collaborating with Hamas in its propaganda extravaganza, these demonstrators demonstrated that the rights of Palestinians are not their concern. Their concern is waging war against their own societies and against Israel. They are more than happy to have their pictures taken with the likes of Hamas terror master Ismail Haniyeh. And while they will never acknowledge that his organization’s terror war against Israel is illegal and immoral, or care that Hamas’s founding charter explicitly calls for the genocide of Jewry, they will demonstrate from today till doomsday against their governments’ recognition of Israel.
. They have supplied Iranian-backed insurgents in Iraq, and before the US-led invasion in 2003, they organized a solidarity-with-Saddam Hussein mission to Baghdad. And this month, fresh from Egypt and Gaza, Code Pink launched an advertising campaign on the Muslim Brotherhood’s English-language Web site. At home in the US, as documented by Web sites like Big Government and Atlas Shrugs, Code Pink’s members have launched psychological warfare operations against American soldiers outside of military bases with the aim of persuading them to desert. They have taunted and frightened children of US servicemen. They have harassed Bush administration officials, their family members and Republican Party leaders. In Israel, counterparts to Code Pink like Uri Avineri’s Gush Shalom acted as human shields to protect Yasser Arafat and his fellow terrorists from the IDF during Operation Defensive Shield in 2002. Anarchists Against the Fence stage violent riots against IDF soldiers every week. Four Mothers successfully compelled the Barak government to surrender south Lebanon to Hizbullah. Traditionally, the far left’s ability to shape national policy in Israel and the US alike has owed largely to the sympathetic coverage they have garnered from fellow-travelling media outlets. In the US, the anti-war movement probably would have failed in its mission of transferring South Vietnam to Communist control if The New York Times and CBS News hadn’t supported their efforts. So, too, the Barak government would likely not have withdrawn the IDF from south Lebanon if Four Mothers hadn’t been ardently supported by state-owned Israel Radio. WHILE BOTH the Israeli and American media continue to promote the agendas of far left groups, by among other things, not reporting their open ties to terrorist organizations, today some of these groups have direct access to the halls of power. Code Pink, for instance, is welcome at the Obama White House. Its leader Evans was an official fund-raiser for Barack Obama’s presidential campaign. Evans visited the White House after travelling to Gaza last June. While there she met with Hamas leaders who gave her a letter for Obama. Evans met Obama himself at a donor dinner in San Francisco last October where, while standing in front of cameras, she gave him documents she received in Afghanistan, where she met with Taliban officials. Then, too, among the board members of the Free Gaza movement is former US senator James Abourezk. Abourezk is reputedly close to Obama and according to knowledgeable sources has been a key figure in shaping Obama’s policy towards Israel. Then, too, like Evans, Dohrn and her husband, Ayres, are also friendly with the president of the United States. Dohrn and Ayres have been Obama’s political patrons since he launched his first campaign for the Illinois state Senate in 1996. In White House visitors’ logs, Ayres is listed as having twice visited the building since Obama’s inauguration. Israeli authorities tend to treat groups like Code Pink and its Israeli allies as nothing more than nuisances. Since unlike Egypt and these self-proclaimed human rights champions themselves, Israel actually does care about human rights, it would never occur to anyone to treat these demonstrators as Egypt did. At the same time, the Egyptian authorities’ actions were clearly informed by their understanding that, with their ties to Hamas, the Muslim Brotherhood, Hizbullah, Syria and Iran, Code Pink and its friends are active collaborators with the jihad war machine. With their open ties to our jihadist enemies on the one hand, and their direct line to the White House on the other, Israel ignores them at our peril. One important word you left out of this article is ‘evil’ which drives all of these people. The Amir Haas’ and Obama’s always side with evil ,as it is their (evil) nature. A better and more correct description of Code Pink and the left is Code Heathen as their war is primarily against God and Israel is the natural target of their hate. instead of following her peace pimps. What a different and better situation Israel would be in today. Instead Israel listens to the wrong voices with determined blindness. A fog of stupidity shrouds the minds those who chase after a mirage of peace in a sea of evil Islam. Spineless leaders of Israel appease evil with ritual religious devotion in the way of Neville Chamberlain and we will once agains reap the fruit of this sin. As long as the leftwing dominates media coverage, extremist groups like Code Pink will get free advertising. Ignoring Code Pink will not lessen the damage it does to Israel’s reputation. Israel needs to discredit extremist groups by waging a sustained PR campaign to present the Israeli side. Terrorists and their friends like Code Pink are deftly using the media to unfairly portray Israel as the “bad guy.” Intellectually dishonest fanatics like Code Pink are winning the media war, and Israel needs to fight back, or face more trouble. Imagine who funded the 1300 Code Pink crew… maybe ACORN, Obama’s $787Billion stimulus (hey that stimulated Hamas), or just the usual slush fund from some sheik or two? Maybe Egypt was not amused because they realized that Code Pink’s money should have been theirs, ala Jimmie Carter? Would be interesting to follow the money, as it always leads to the heaviest corrupters. Israel has/is missing the boat by allowing the entire matter to exist as if it were a political issue, susceptible to a political settlement. As long as HAMAS and the MB/Mufti’s ideals hold sway among enough Palestinians and Irael is regarded as sitting on lands consecrated by god to muslims, it is a religious war and there is very little that can be settled politically. In that reality Gaza can only be one thing. A BASE. All efforts should concentrate on two things ..helping the emergence of those Palestinians who want their children to have better lives ON THIS PLANET, and awakening the American and then other peoples to the REALITY of a religious war not amenable in any way to a political settlement until the hearts of the Pal’s change. One lesson: when Hamas wants to kill a radical leftie, let them. As does America; where the crass dishonesty of the MSM, by essentially ignoring this story, including its implications, is tantamount to enabling the jihad terror machine. The left-wing tolerant popular media will pay for this in the recording of the final history books, but in the meantime real people will endure and suffer the consequences. If there is a repeated incidence of a 9-11 attack, the media will gush with its usual dramatization while ignoring this significant underlying story. In the mean time innocents around the world are picked off and murdered one by one, sometimes a dozen at a time, with only a momentary blurb in the popular press; but in the long run it’s mass murder, the jihad’s version of slow motion ethnic cleansing. The world’s left-wing are apparently in denial that they will be the final victims. Perhaps one can have some modicum of respect for an honest enemy, but the free press enablers of this phenomena exemplify the dictionary definition of perversity. It has been reported on an extreme anti-Israeli web site (“End The Occupation”) that Code Pink (a member of ETO) has convinced Costco to stop selling AHAVA products in is stores based on Code Pink’s assertion that the settlements are illegal and therefore they are “stealing” from the Palestinians. They base these claims by picking those UN resolutions that back their position. Is anyone out there doing something about this? I think the members of leftist orgs like Code Pink, at least in the US, are far more intellectually challenged shall we say than evil. These are dull, thick members of the suburban upper middle class that needed daddy’s checkbook to get into state university systems for their social science and “cultural studies” majors. These uncritical thinkers were then honed into postmodern lockstep by the PC drill instructors who have taken over the US educational system. The crass Orwellian advocacy of the “progressive” agenda present in American schools is a disgrace. I am happy to report that Abraham’s Friend is right on it. Watch for Costco and other business’s that reproach Israel to begin to nosedive and hit rock bottom as America is now doing. The curse is in effect worldwide,be patient and get out of the way as it (curse) will devour every single one of Israel’s enemies and those like Costco and America who stand with them. A smart move is to dump the worthless dollar ASAP. With American Code Pinkies come and gone, and the entourage from the White House still constantly coming and going, and the American President having already apologized for & disclaimed any inclination for a ‘victory-oriented America’ – perhaps now would be a perfect time for N to suggest that the Americans practise what they preach and initiate their very own briskly-installed Two-state solution for their own conquered natives (inappropriately called for several hundred years ‘Indians’) using the same brilliant discussion techniques forced now by the American Administration upon the Israelis with the obvious difference that, in this case, the discussion would be orchestrated by N to smooth out any differences? Alternatively, N could be allowed to pay the Palestinians $24 in beads for what the Israelis have conquered; and, since migration has already been forced upon the Palestinians and they are already upon various reservations, N could introduce the Palestinians to the liberal use of liquors, while immediately commencing (as the American solutions have done in Oklahoma) to encourage the Palestinians to begin building casinos, so that the American solution of granting restitution to the displaced by teaching them how to drink and gamble can be transferred to Israel and forthwith can be used by N to begin to satisfy large land claims Palestinians may have with the Israelis immediately? 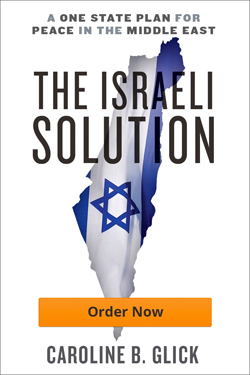 Conveniently, this alternate solution would not require Israeli apologies, just a little financing along with some practical skills in bartending, prostitution, and probability theory. Wouldn’t that be a more hopeful, new path to peace indicated not by silly diplomatic theories, but by already-existing, successful – not victorious now – American diplomatic efforts ? Just think: America leading. Israel following! I have written a rebuttal to your article.